When doctors set up and implement a system of Electronic Health Records, or EHRs, they can improve patient care and reduce office inefficiency, sometimes in surprising ways. Basically, everything you do for a patient is recorded in that patient’s EHR. So if you give a patient a certain vaccine that only needs to be administered once during a person’s lifetime, and she then moves to a different city, her new doctor won’t give her that same vaccine because a piece of paperwork was misplaced. Instead, this new doctor can read everything she needs to learn about this patient on a single screen. Prescriptions become safer and more efficient with EHRs. In fact, the local pharmacy can receive your prescriptions electronically as soon as you make them. That way, your patients may leave your office and head right over to the pharmacy, and there’s a good chance that their medications will be ready by the time they arrive. You don’t have to worry about a pharmacist misreading any of your prescriptions because of messy handwriting, either. You can even use an EHR system to write an emergency prescription for one of your patients when you’re at home or on vacation. On top of all that, prescriptions become much harder to fake. That’s an important societal benefit given the rampant problem of prescription drug abuse. An EHR system becomes crucial in emergency situations. If you’re eating at a restaurant and a fellow patron collapses, the person he was dining with can give you his medical information so you may access his EHR through a mobile device. That way, you can find out what his specific medical issues are and how you can best provide treatment on the spot. And if you have to give someone medicine right away in an emergency, that person’s EHR will alert you to any medicinal allergies she might have, so you can avoid administering medication that could inflame an allergy and make the situation worse. EHRs provide an efficient means for physicians, hospital employees, lab technicians, nursing home employees, rehabilitation specialists and patients themselves to share vital information instantly and in a secure manner. Having a patient’s complete medical history at your fingertips allows you to make the most accurate, most personalized decisions and evaluations. That is, you’ll be able to provide the best prognoses, the most realistic health goals and the most helpful dietary and lifestyle recommendations. And if a patient is staying in an assisted living home or a similar facility, her EHR can even alert staffers whenever she needs to take certain medications or whenever she has an appointment with her physician coming up. 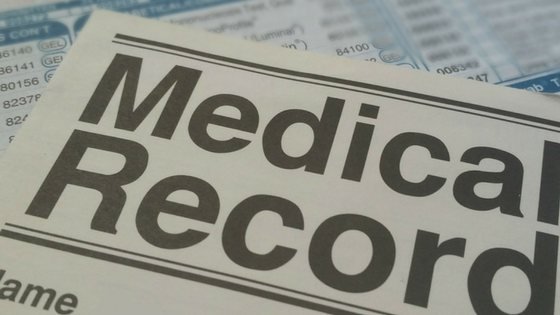 Electronic Health Records help doctors’ offices manage all the financial matters that keep a medical office running. A patient’s EHR will keep track of what she has already paid, how much she still owes and when her next payments are due. If you have to file a claim with an insurance company, you can use your EHR system to do that as well. Getting rid of all of those sheets of paper makes the accounting process faster, simpler and more streamlined, and mistakes become much less likely to occur. Patients can access their EHRs at home, too, sometimes with lifesaving results. If you provide complicated instructions for managing a chronic illness, it might be hard for a patient to remember all the details on a day-to-day basis. But on his EHR screen, you can list step-by-step daily instructions which the patient can read each morning and follow all day long. And if a patient notices any oddities one day – a clump of hair falling out, for instance, or a change in his regular sleep pattern – he can make note of it on his EHR. In doing so, he won’t forget to mention that issue to you the next time he sees you. As with any electronic system, people may fear that their data will end up hurting them if the wrong people see their EHR but doctor patient privileges still apply to EHR’s.